Capsicum/ bell pepper can be eaten both raw or cooked. 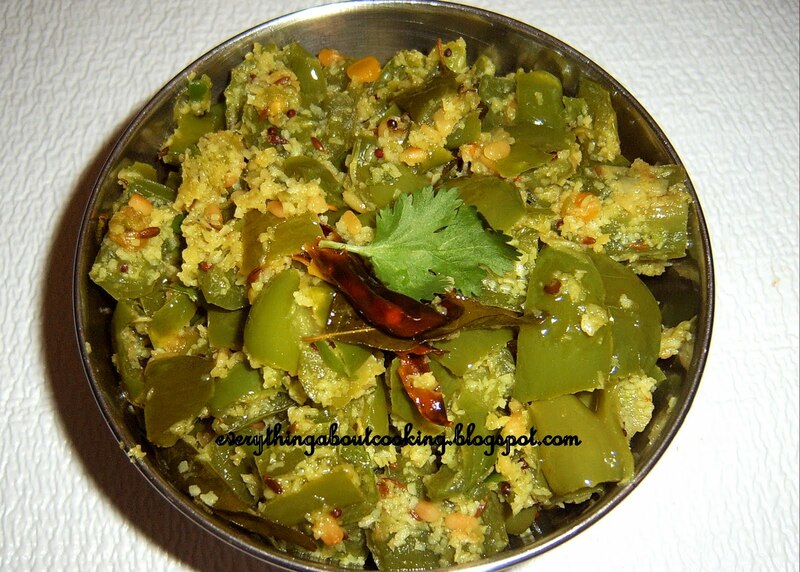 I cook capsicum in different ways and this is one of them. It is easy to make and tastes great. Make a paste of coconut, ginger, garlic, green chillies with very little water if necessary and keep aside. Heat a pan add oil and when hot add the mustard seeds and cumin seeds and when they start to splutter, add the dried red chillies , curry leaves and urad dal and when the dal changes color, add the cut capsicum pieces and saute for 2-3 mins. Add the tumeric and about 4-5 tbsps water and cook on low heat covered for 6-8 mins. Add the paste of coconut, ginger, garlic, green chillies and salt and cook till the capsicum is a little soft. 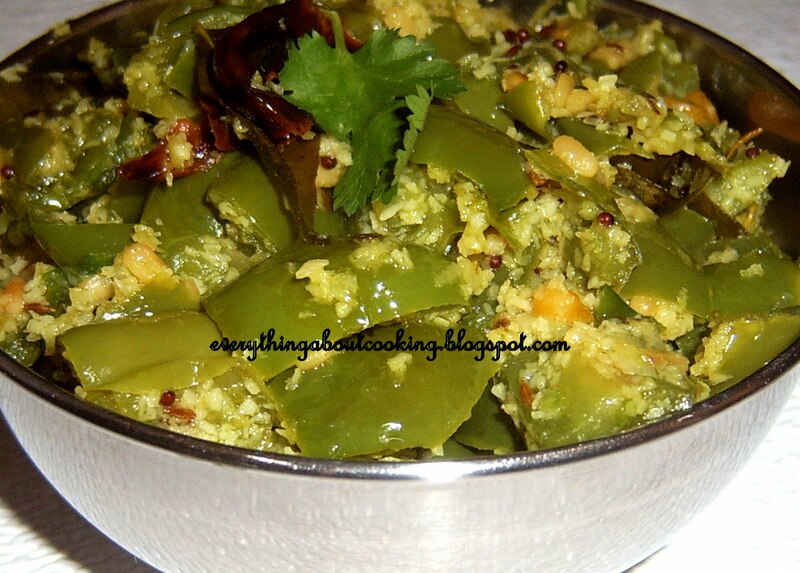 Serve with rice or phulkas. Enjoy!! !